Charlestown, MA (September 30, 2016) – More than 120 residents, family and staff of Zelma Lacey House – an assisted living community of 66 apartment homes located on West School Street in Charlestown – recently gathered for the second annual Fall Family Fun Day. The country western hoedown celebration included a festive barbeque lunch, potato sack race, bean bag toss, balloon art, and live country music performed by artist Joe Barilone. Pictured above: (left) Savannah Lyons, 10, with Paula Kirk at Zelma Lacey House. 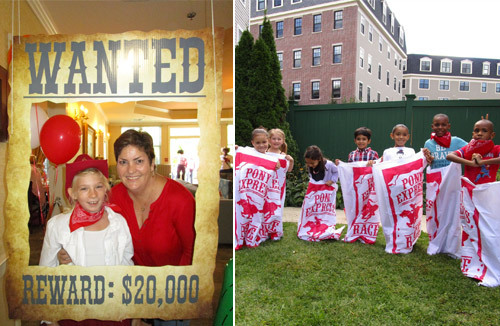 (Right) Children attendees participating in the potato sack race at Zelma Lacey House.